Come on Tom, I thought, squatting anxiously in a barrel for what seemed like the millionth time during my playthrough of Outlast 2. You haven’t got much battery power left for your camera, and the more you use it to locate that lunatic stalking you, the sooner you’ll have none left at all. Either you hop out now and risk soiling yourself in fear or you run out of power and end up blind and sure to die anyway. I took a deep breath and hopped out of the barrel, only to hear the screams of my purser signalling they were gunning for my entrails. All I could do was run for my life. Situations such as this one happened to me a lot in Outlast 2. Sometimes I’d escape with my life, other times I’d be caught. But it was always pulse pounding-ly thrilling. Did I ever soil myself, though? A gentlemen never tells. And it’s these kind of situations that Outlast 2 excels at. The run-n-hide gameplay from developer Red Barrels’ 2013 original returns in spectacular fashion, making every enemy encounter an adrenaline pumping battle of wits, testing your mettle against the many creeps scattered throughout the game’s Arizona location. 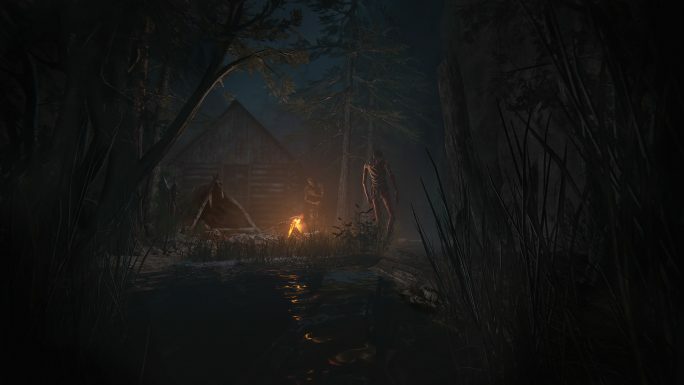 As a horror game, Outlast 2 provides an immersive and bone chilling experience. It combines simple yet flexible gameplay mechanics with beautifully menacing art and sound design to create scenarios that often ended with my heart feeling like it was going to John-Hurt-in-Alien its way out into the world. Unfortunately the narrative stumbles a little along the way, having some unsubtle padding and an unsatisfying final act, but the journey getting there is well worth it for any horror fan. This guy’s been lining up since the first game came out. Players take control of cameraman Blake Langermann, who is traveling with his journalist wife Lynn to a remote area in Arizona to investigate the death of a pregnant woman. The pair are separated when their helicopter crashes, and Lynn is kidnapped by a cult of radicalised Christians hell-bent on preventing the birth of the Anti-Christ. With nothing but his wits and the most indestructible camcorder in history, Blake must brave the horrors of the villagers’ beliefs and rescue Lynn, all while battling some sinister personal demons of his own. Demons that involve exploring a creepy, empty school. Yeah, look forward to that! 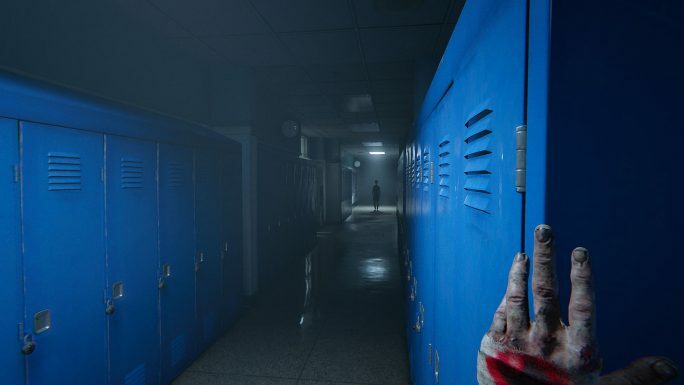 The true terror of Outlast 2, much like the first game, comes from the fact that Blake cannot fight the enemies he encounters, he can only run and hide. Whereas my fear while playing the recent Resident Evil 7 was lessened by the fact I could just straight up shoot my pursuers in the face, I had no such respite here. Enemy encounters were a tense game of sneaking around or summing up the courage to come out of hiding and make a dash for safety. And often you can never be 100% certain of how far away safety is, meaning usually you’ll be running headlong into the unknown and hoping it won’t end in your untimely death. Aiding Blake is his trusty camera, returning from the original Outlast with its trademark green night vision. I personally love this touch, as the green haze of a camera’s night vision seems to instinctively conjure up more fear within me than the more conventional torch. 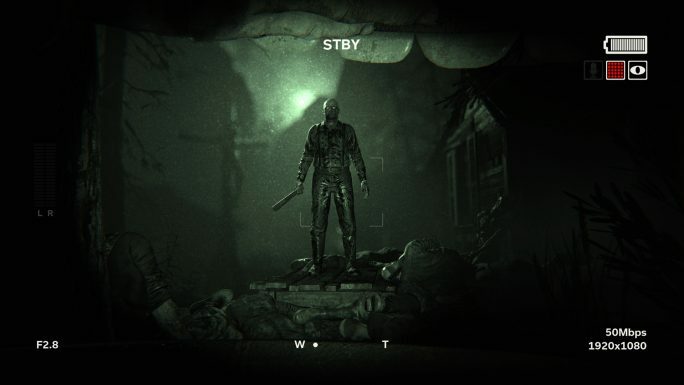 On top of the night vision, however, Outlast 2 brings a new feature to the camera: a directional microphone. The directional microphone does exactly what it says on the tin, it’s a microphone that lets you hear what direction sounds are coming from. 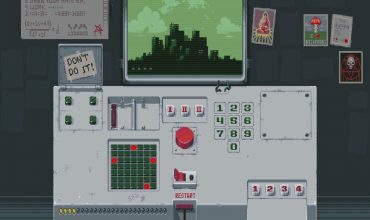 It’s a simple addition to the game that really mixes up the formula, allowing you to track the movements of enemies you can’t see, say while hiding in a barrel or while lost in a corn field. Panning your camera trying to discern if a murderous hunter is still in the room with you or has moved a few rooms away is an incredibly nerve wracking and welcome experience. But thankfully it doesn’t make the game too easy, as the game often inserts little sound twists into the mix, such as docile characters continuously praying or thumping machinery to throw off the readings. Or just placing them in front of you, ready for some murderin’. 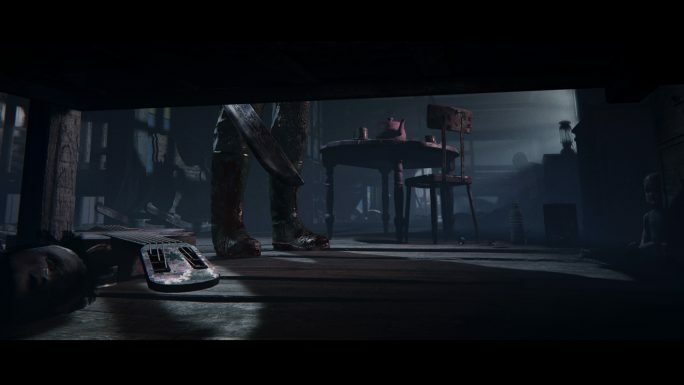 Both the night vision and directional microphone’s operation are tied to the camera’s battery power, with spare batteries found throughout the game’s beautifully sinister environments. This limitation on your ability to navigate the world is a bit of a double edged sword. On the one hand it pushes you to find the courage to take risks, much like in my introductory anecdote. But on the other hand, if you ever find yourself with no batteries you’re pretty much stuffed. On more than one occasion I found myself caught without night vision in a very dark space and either I immediately died (which is fair enough, I had to git gud), or I was in a placid area and it took me forever to find the way to go. I guess we can’t have the former without the latter, and these situations didn’t arise terribly often, but it’s worth noting that having absolutely no battery power essentially renders certain moments unplayable. But those rare instances of forced failure aside, these mechanics blend together to make being hunted by Outlast 2’s cast of crazies all the more terrifying. Sadly none of the built up primary villains manage to equate themselves to the memorability of Outlast‘s Doctor Trager or The Groom from its DLC, Whistleblower, but they still know how to get the blood pumping when they ambush you. Or find you under a bed, which they inevitably will. Now, while the gameplay knocks the horror experience out of the park, the narrative sadly doesn’t quite hit the same home run. 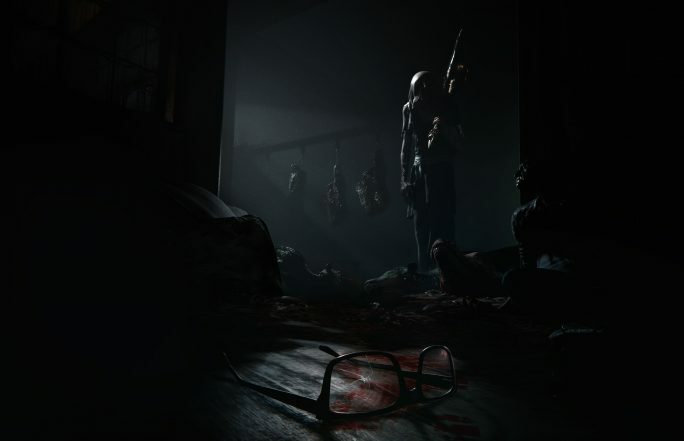 To put it bluntly, the story of Outlast 2 is not for the faint of heart or the squeamish. On top of all the grisly violence, things such as visceral descriptions of cultists’ sexual gratification from dreams of infanticide, as well as referenced and implied sexual violence and other dark themes, are prevalent throughout the many expository notes strewn throughout the game. It’s pretty full on stuff, and for the most part it does a great job of contextualising the maniacs Blake’s being hunted by. However, I felt there were some instances where it crossed the line of acceptable taste. I’m not trying to be prudish here, each to their own, but there were grotesque moments in the game that I felt didn’t enhance the terror of the experience, rather they just felt uncomfortable. The original Outlast had disturbing scenes that gave greater reason to fear the major villains, but here they just seemed like they were there for sake of being super messed up. Camping has changed a lot you guys. Oh, and while we’re on the subject, the controversial scene at the heart of the mistaken banning of Outlast 2 in Australia is still in the game, however it plays out very differently as originally described, implying things more subtly. So that puts that whole mess to rest. But for the most part, the story works quite well, although there were a few contrived instances of moving the goalposts ahead and a lot of “back track to get X” sections to pad things out. And the final act is a little underwhelming as its where things seem to take a really weird turn. It’s hard to explain without spoilers, but suffice it to say the story swaps from being about the dangers of the blindly devout to kind of justifying them in a way. Others may disagree, but to me it felt out of place. Regardless, what I wanted from Outlast 2 was an intense, petrifying, thrilling horror game, and that’s damn sure what I got. 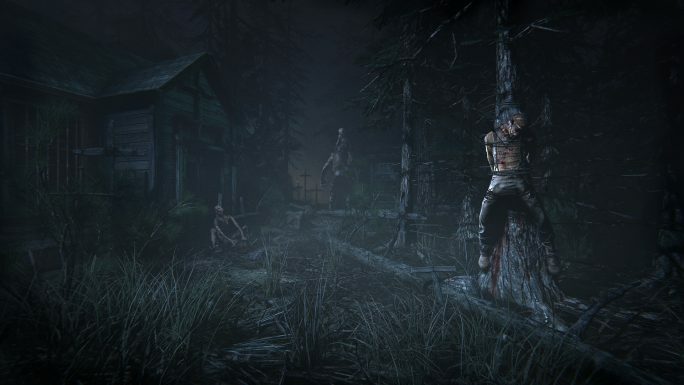 Outlast 2 is a must play for fans of the horror genre. It may have occasionally crossed the bounds of my personal taste, but one can't deny its an intense, visceral experience that's sure to worry the cardiologist of anyone who plays it. Mock Tom's personal tastes on Twitter @tomdheath and don’t forget to follow @load_screen and like us on Facebook.